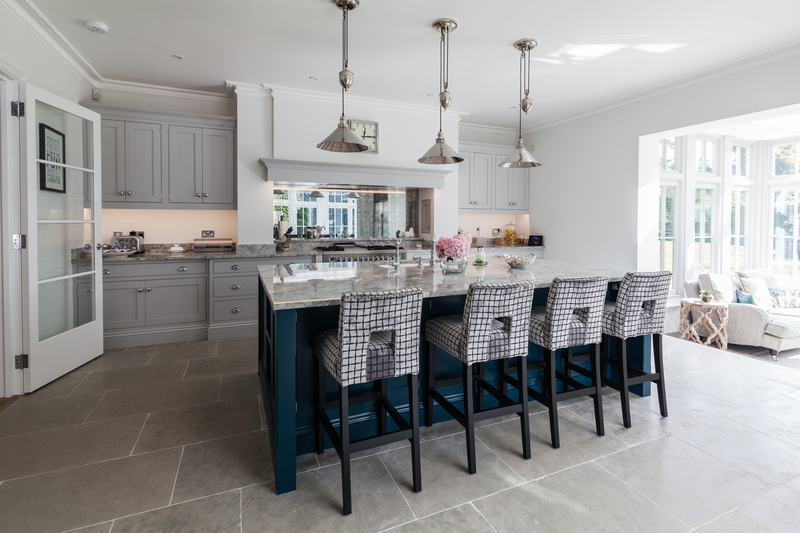 We secured the contract to design, supply and fit this beautiful bespoke real wood kitchen for our client in Chorleywood against stiff competition from luxury kitchen design companies Tom Howley and Martin Moore. Our design ideas, intricate features and competitive pricing, along with our work ethic, were paramount to our client as we had to reposition the kitchen and pantry in an entirely different part of the house – thereby allowing the family to enjoy the view across their garden and swimming pool. We worked closely with the owner (sourcing lower cost products where possible) to adapt and amend the kitchen design to include unique features such as: the bespoke frame made to wrap around their existing fridge to match the style of the kitchen to more practical features like the coffee station and hot tap. Other features include; the handmade island with quartzite surfaces, Kohler sinks, Perrin and Rowe taps. 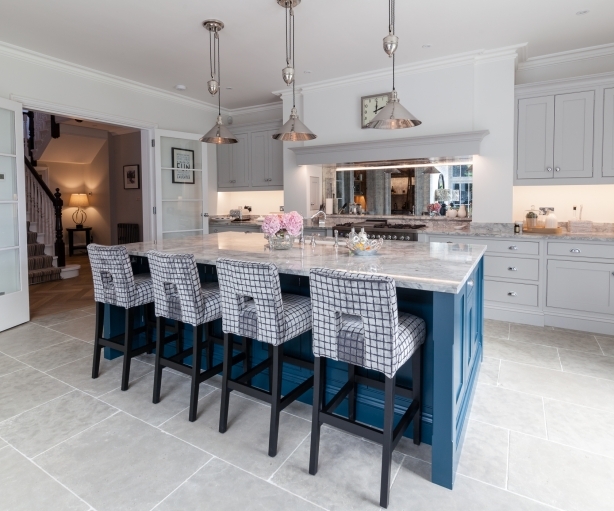 All kitchen cupboards have been finished in Farrow and Ball’s Pavillion Grey and to give a contrast of colour the island was finished in Farrow and Ball’s Hague Blue. In the pantry, we handmade baskets to break up the grey decor, created a bespoke fitted wine rack and sliding ladder for ease of access to all levels of shelving. 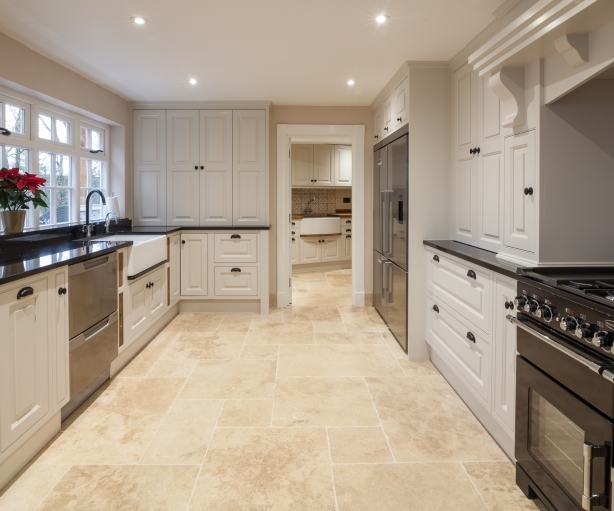 We carried out all plumbing and electrical work including underfloor heating and we laid mandarin limestone flooring throughout the kitchen, pantry and orangery.